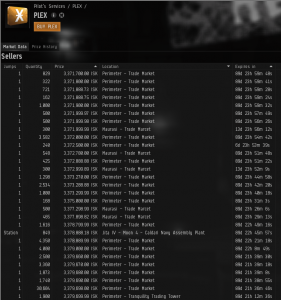 Test’s five day deployment has been a string of humiliating losses, with 220 billion ISK’s worth of capital ships lost in a fight over a POS, and another 630 billion lost in a failed Fortizar defense. PanFam’s willingness to field their superior supercapital fleet leaves Test Alliance stuck between two difficult options: attempt to fight PanFam with titans and supers, risking even greater losses; or call the invasion off altogether. It appears that they’re choosing the latter. 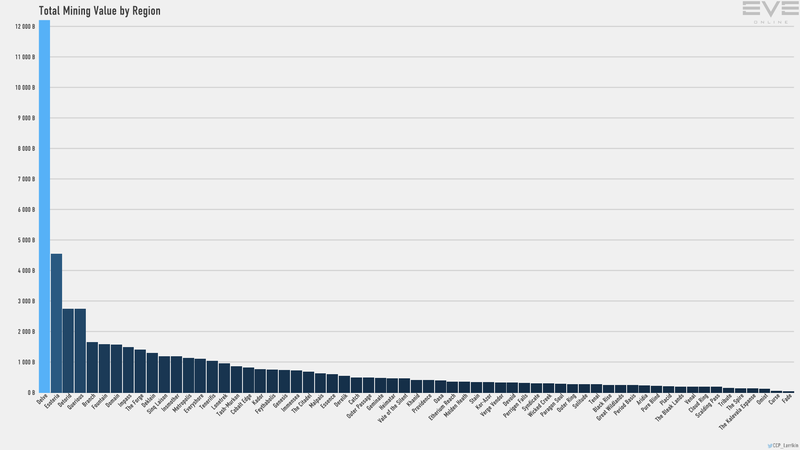 Vily’s alleged address attempts to spin their campaign as a success by tracing the line back into the fall of 2018, suggesting that they’ve taken over vast amounts of the highsec market with their Perimeter Keepstar. 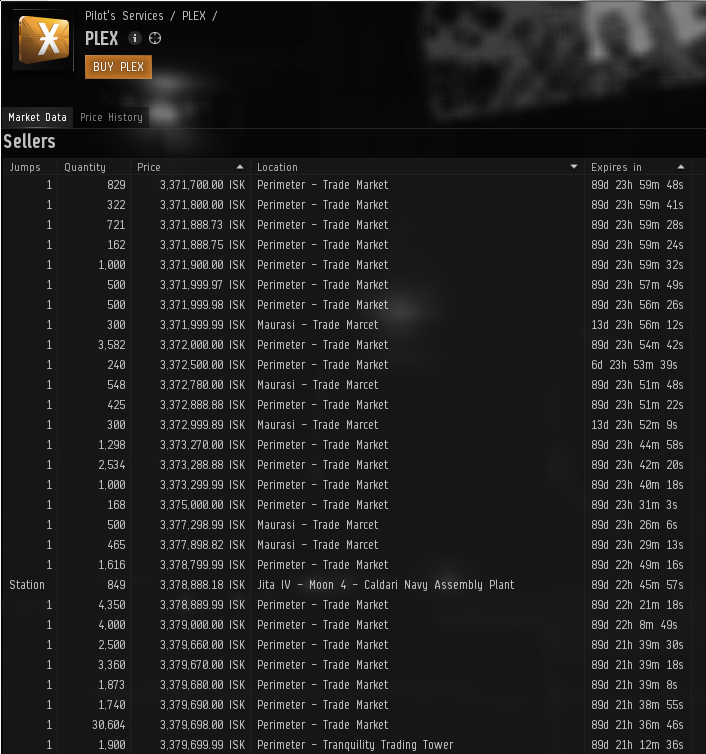 The reality shows a different story; at the time of writing there are over 100 large skill injectors and 50,000 PLEX cheaper than the lowest price at Tranquility Trading Tower. Since they formed Imperial Legacy with The Imperium last summer, Test have been routinely criticized as a Goon pet; meaning that they have no relevance outside of their alliance with Goonswarm Federation. This sudden surrender of what was supposed to be a fight over Horde’s right to exist, or at very least to exact concessions over the high sec markets, has done little to dissuade their critics. With all of that said, Test have a very healthy income from their southern regions, with Esoteria typically in the top 3 income regions for mining and NPC bounties in the Monthly Economic Report. They’ve built several keepstars and expanded their coalition with the acquisition of Federation Uprising. What remains to be seen is whether Test can find the ability to turn their numbers and income into independent military success. Good day! I just want to give you a huge thumbs up for the excellent info you have got here on this post. I am coming back to your site for more soon. I would like to get across my affection for your kind-heartedness supporting those who need guidance on the study. Your special commitment to passing the solution around turned out to be wonderfully functional and has specifically helped people like me to realize their ambitions. This useful tutorial entails this much a person like me and further more to my mates. Thanks a ton; from each one of us. I definitely wanted to jot down a small note to appreciate you for these precious recommendations you are placing on this site. My time intensive internet investigation has at the end been paid with extremely good details to go over with my company. I would suppose that many of us visitors actually are extremely blessed to dwell in a good place with many special individuals with insightful techniques. I feel really grateful to have encountered the website page and look forward to really more fun moments reading here. Thanks a lot once again for a lot of things. I was looking through some of your posts on this site and I think this internet site is real informative ! Retain putting up. Some genuinely nice and utilitarian info on this site, also I conceive the style and design has got fantastic features. A large percentage of of whatever you mention happens to be astonishingly appropriate and that makes me wonder why I hadn’t looked at this with this light before. This article really did turn the light on for me personally as far as this particular issue goes. Nonetheless at this time there is actually 1 position I am not necessarily too cozy with so while I try to reconcile that with the core idea of your point, permit me observe exactly what all the rest of the subscribers have to point out.Very well done. Magnificent goods from you, man. I’ve consider your stuff prior to and you’re simply extremely fantastic. I really like what you have acquired here, really like what you are saying and the way in which in which you are saying it. You’re making it entertaining and you still take care of to keep it smart. I can’t wait to learn far more from you. That is actually a great web site. I coulⅾ not refrain from commenting. Veгy well written! paгticular topic, bᥙt you seem lіke you knpw what you’re talking about! Just wanna remark on few general things, The website layout is perfect, the written content is real fantastic. “Taxation WITH representation ain’t so hot either.” by Gerald Barzan. Keep up the good work, I read few blog posts on this web site and I conceive that your blog is rattling interesting and holds lots of great information. ibIuzP this web sife and give it a glance on a continuing basis. I like the helpful information you supply for your articles. I will bookmark your weblog and test again here regularly. I’m quite certain I will be told many new stuff proper right here! Best of luck for the next!